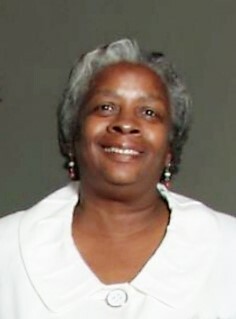 Ms. Lorraine Wallace made her earthly transition on Friday February 1, 2019 in Philadelphia, PA. She was 68 years old. Lorraine was born in Philadelphia on January 19, 1951 and during her life time she worked in the mental health industry. Lorraine was a faithful member of First Church of Love, Faith and Deliverance which her aunt the late Rosie J. Wallace-Brown was the founder. Lorraine served in the church in various capacities. She will be missed by her children, grandchildren and other relatives and friends. Home going services will be held on Saturday February 9, 2019 at First Church of Love Faith and Deliverance, 3101 Ridge Avenue, Philadelphia PA 19121. The viewing will begin at 9:00 am with the service to follow at 10:00 am. Burial will be held at Chelten Hills Cemetery 1701 E. Washington Lane 19138. Please remember the family in your prayers.